The law, which will be implemented from June 15, requires owners to obtain a government registration number and meet various regulations that some owners have decried as overly strict. 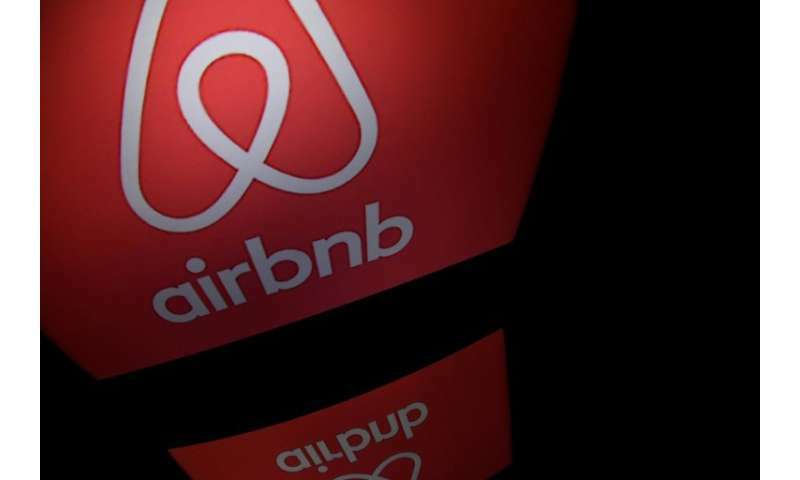 "This weekend we reached out to those hosts who have not yet obtained their notification number to let them know that they will need this to accept any new bookings," Airbnb spokesman for Asia-Pacific Jake Wilczynski told AFP. "We have informed those hosts that we are in the process of turning off future listing capabilities." He declined to confirm the exact number of listings affected, but local media reports and sources put the figure at about 80 percent of the rentals available on the site across Japan. Wilczynski said many Airbnb hosts had already obtained their registration, and others were "going through or finalising" the process. "We are on course to register tens of thousands of new listings in Japan in the months ahead," he added. Airbnb and other peer-to-peer rental sites have publicly welcomed the new law, saying it removes uncertainty in a sector that has long existed in a grey zone. But some hosts say it imposes onerous rental requirements, which they see as intended to favour the hotel industry. The law limits stays to 180 days a year, and allows local governments to impose additional restrictions, with the tourist magnet of Kyoto only permitting rentals in residential areas between mid-January and mid-March, the low season for tourists. The changes come as Japan works to boost already-record numbers of tourists and anticipates an influx of visitors when it hosts next year's Rugby World Cup and the 2020 Olympics.